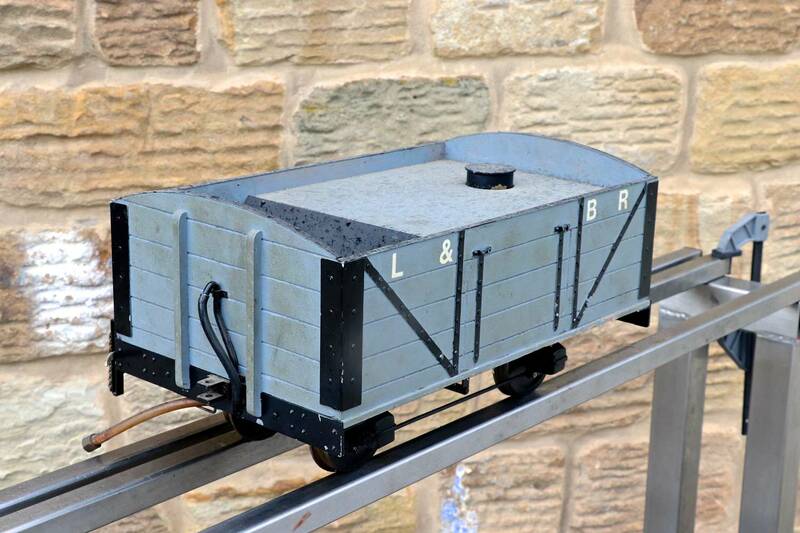 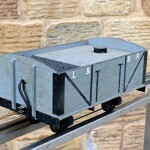 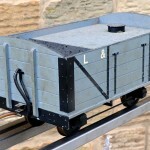 Here we have a rather lovely little 3 1/2″ gauge Lynton & Barnstaple driving truck. 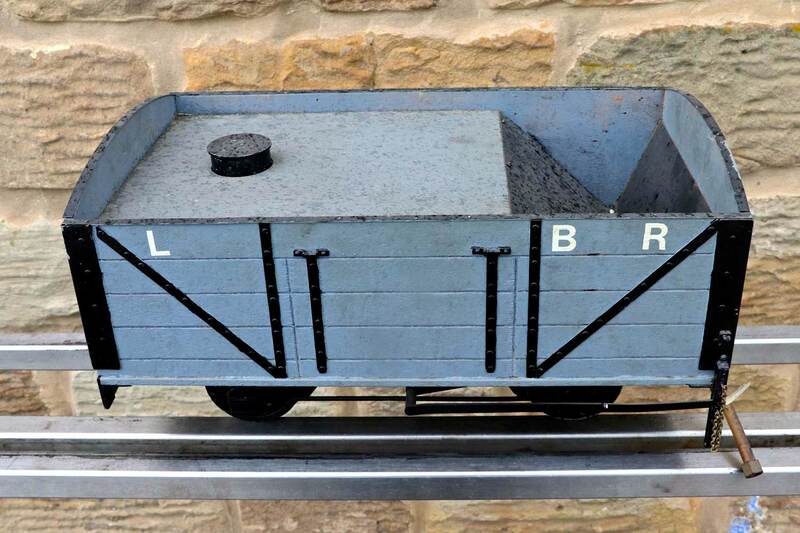 It’s got a water tank with filler cap, and a coal space up front. 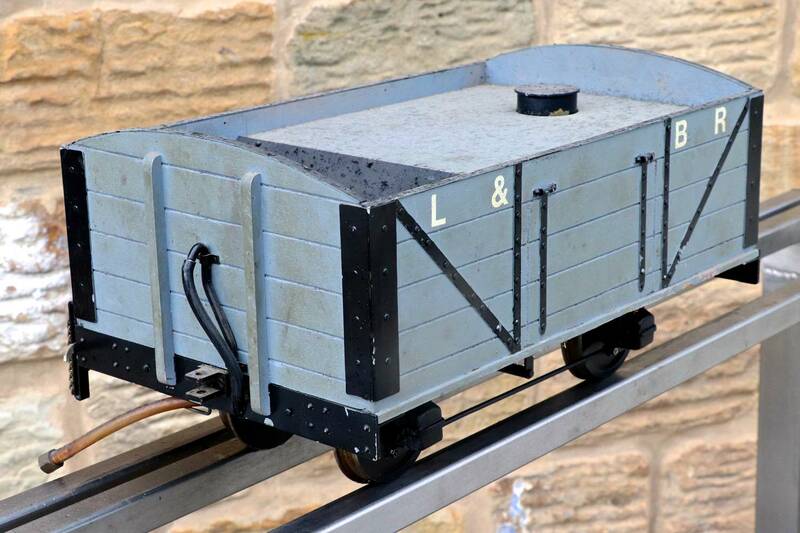 There is nice brake gear detailing on the chassis and even the vac brake pipes are very attractively done. 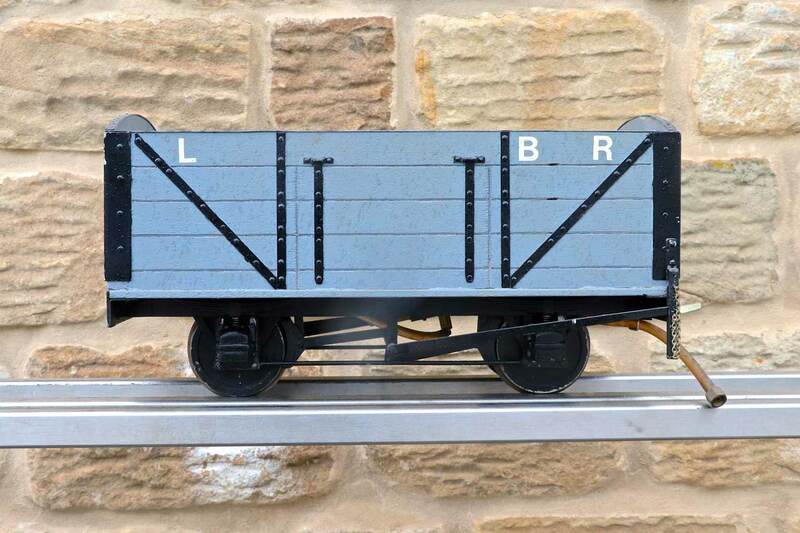 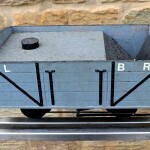 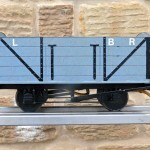 The L&B lettering could easily be removed if you’ve some other prototype, but it’s definitely a wagon with a lot of character and ideal to sit as a tender for your 3 1/2″ narrow gauge tank engine.